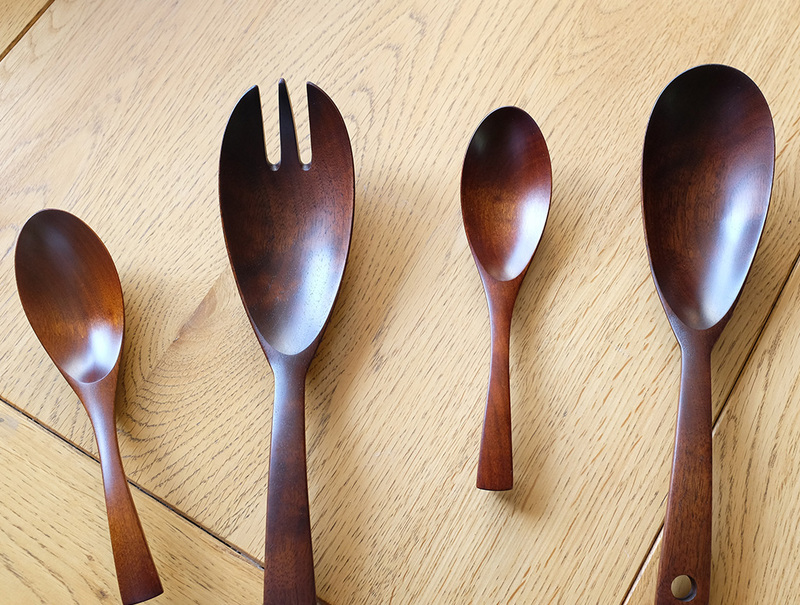 Any customers waiting for the large service spoon and fork or the smaller renge spoon by Atelier Tree Song will be glad to know that they are now back in stock. 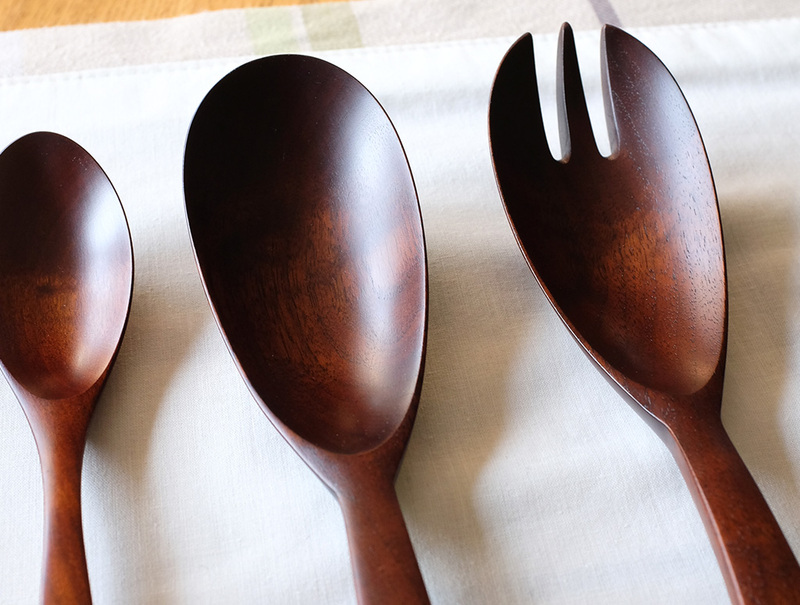 I know Taisuke Hirabayashi, the craftsman who makes under the alias Atelier Tree Song at his studio in Tokyo, takes a great amount of time shaping these larger service spoons and forks as there are many details. They really are perfect as a pair. 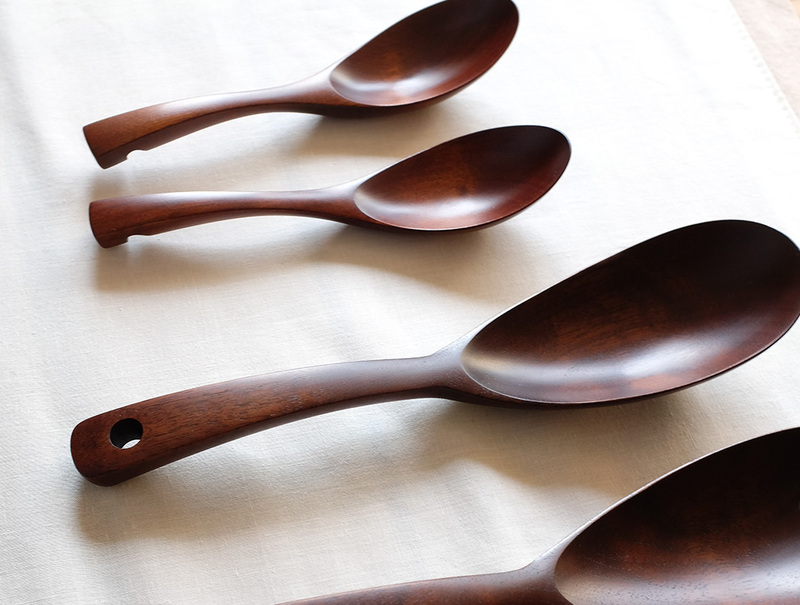 He first cuts them using machinery but later shapes the spoons by hand and then finishes with a lacquer coating. I especially like the finish as it’s not matte or shiny, when the sun catches them they do glint, but otherwise it’s very subtle but smooth in the hand. A great combination. 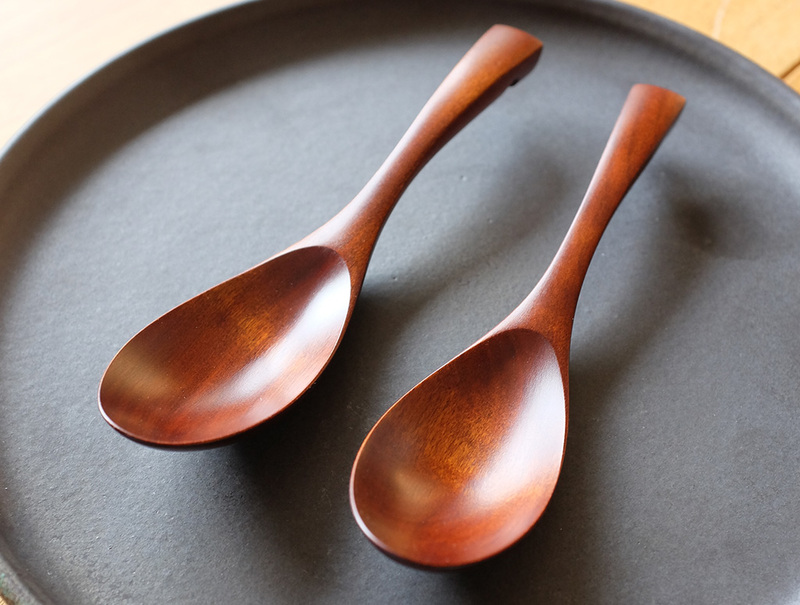 More works by Atelier Tree Song can be found on the shop linked below. We hope you have a great weekend.